Walk onto Eastbourne’s 1870 pier, and you won’t be aware of a hidden history that hides behind locked doors. It’s called a Camera Obscura. The pier was originally built as a promenade out to sea, no buildings, but when it suffered extensive storm damage on January 2st 1877 capital was required to re-build, so a summer tent was erected at the end as a temporary music hall seating 200 people on uncomfortable wooden benches. Regrettably no pictures exist of this tent on the pier. After eight years, there was sufficient revenue to build a 450 seat theatre, which after another short period was replaced by one that could accommodate 650 patrons, which is the current structure. 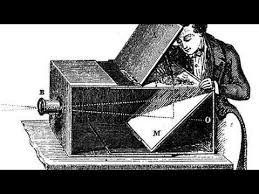 There are references to camera obscura dating back many centuries, but they came to prominence in Victorian times. The principal is quite simple. The external image is projected through a tunnel via prisms of glass, so it ends up on a solid surface. The original concept was for a smaller room, with the coloured image displayed on an interior wall. A hole would be bored through the exterior wall, glass inserted, so the person in the room would be able to see what was occurring outside. 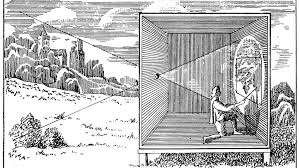 This was also possible to take in the form of a rectangular box, so the man would walk from village to town, setting up so the primitive contraption could mystify the viewer. A small fee would be paid, not many of these boxes were made, but those that survive to this day show that the person viewing would have to shade their eyes from as much light as possible so they could see the image, which was also magnified. The itinerant walking from village to village would have been regarded as a magic man, just like the early pioneers of the moving picture at the end of the 20th Century. The provincial country folk would have been astounded at being able to look inside the wooden box and see what was happening outside – in colour. 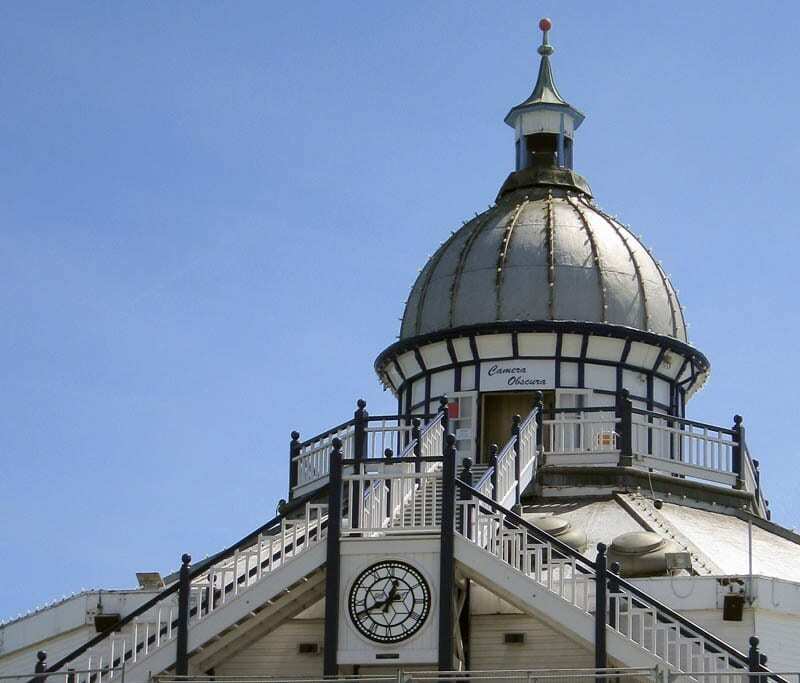 The camera obscura on Eastbourne’s 1870 pier was built in 1899, when the theatre was erected. You walk up some wooden stairs to the dome at the top, enter through double doors, and are confronted with a convex papier Mache six foot dish, or two metres in new money. The operator turns a huge metal wheel, which is connected to the apparatus via ropes and pulleys. These manipulate the glass in the tunnel in the ceiling, which rotates the external colour image. The camera obscura had fallen into disrepair by the 1970s, when a fire gutted the theatre situated underneath. The pier had various ownership, until just the obscura was restored, opening for two years in the early 2000s. The camera was operated by Eastbourne Borough Council, charging £2. I was lucky enough to visit on two occasions, marvelling just like the Victorians did at the camera capturing the outside images, people completely unaware they were being gawped at by us above their heads. The dish was pitted, not smooth, and grey, but it was still possible to view the colour external image with clarity. The camera obscura was not re-opened for the 2005 summer season, and has been closed ever since. Eastbourne pier’s fire resulted in an insurance payout of almost £10m, with no obligation to be spent on restoration, purely as a settlement for cover. It was placed for sale, no-one wanted it until a local hotelier and flamboyant businessman called Mr. Gulzar purchased for a reputed £1. There has been some investment, but his empire has expanded with the purchase of the adjacent Hastings pier with divergence of time spent on Eastbourne. 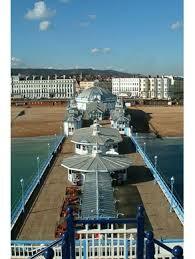 For a long time he wanted the whole of the £2m for the pier, despite it being ring-fenced for other tourism projects. So now, approaching Summer 2019, we have an impasse. You can’t get up the stairs, they are blocked off, the mechanism is mainly intact, but there is a disinterest in taking the restoration any further. I am sure that there is another article to be written about this topic, so will return to it when camera obscura developments occur. Ever wondered what goes wrong on funerals? Harry Pope has been involved in the profession for well over forty years, writing a successful anecdotal account called Buried Secrets. Ever wondered what goes on behind the scenes of a family owned hotel? Harry and Pam owned one in Eastbourne, he has written an hilarious account called Hotel Secrets. « Return to Tunisia Part 3; Den Den, the Medina & Carthage.